The 2016 Atlantic hurricane season is upon us and, according to weather.com, “this hurricane season is expected to be the most active since 2012…A total of 14 named storms, eight hurricanes and three major hurricanes are forecast during the coming season.” This year’s hurricane season began officially on June 1, 2016, and will last through to the end of November. Hurricanes are intense storms that are capable of causing massive damage and widespread devastation. Hurricanes are well-known to be both life-threatening as well as hazardous to commercial and residential properties that are in the path of the storm. 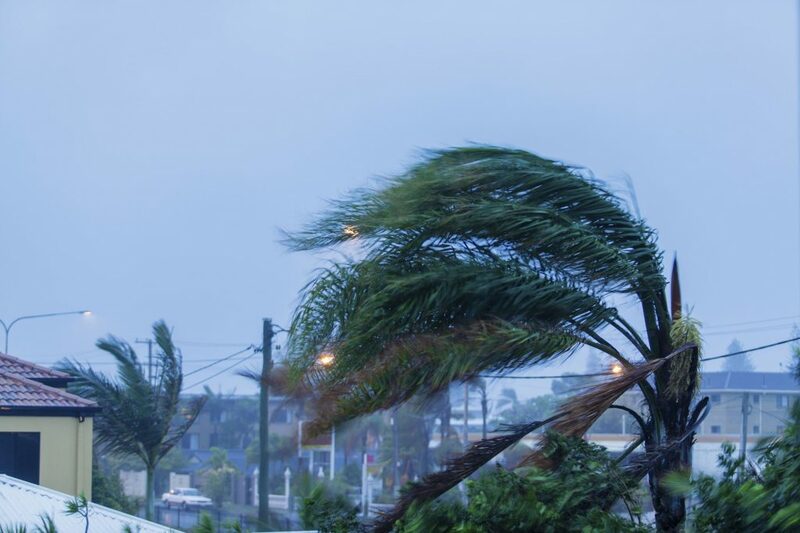 There are various types of damage that can occur during a hurricane in South Florida, most common is debris breaking windows and water fills a property. Although, hurricanes also cause damage by flooding, storm surge, high winds, tornadoes, and more. Furthermore, effects from a hurricane can be seen both in coastal and inland areas. Being prepared is the most reliable protection that you have against the dangers of a hurricane. It is very important that you know the difference between the various threat levels so that you are able to plan accordingly. Refer to the National Hurricane Center’s Hurricane Preparedness Guide for comprehensive information on hurricane preparedness at home and in your community. Gather emergency supplies in place at home, at work, and in the car. Supplies should include a flashlight, batteries, cash, water, first aid supplies, and copies of you and your family’s critical information. Read and review your insurance coverage documents. Make and test a family emergency communication plan. Restock your disaster supply kit with water, food, batteries, chargers, cash, and first aid supplies. Become familiar with your local community’s evacuation plan and evacuation routes and ensure that you are able to receive alerts. Familiarize yourself with relevant sources for local wireless emergency alerts via TV or for weather updates, emergency instructions, or evacuation orders. Clean up your yard and remove any potentially hazardous items by doing tasks like trimming damaged tree limbs, securing loose rain gutters, store any lawn furniture, and much more! Reinforce your roof, windows, and doors – particularly the garage doors. Purchase a portable generator or install a generator for use during potential power outages. Board up the windows to prevent broken glass from becoming free-flying missiles. 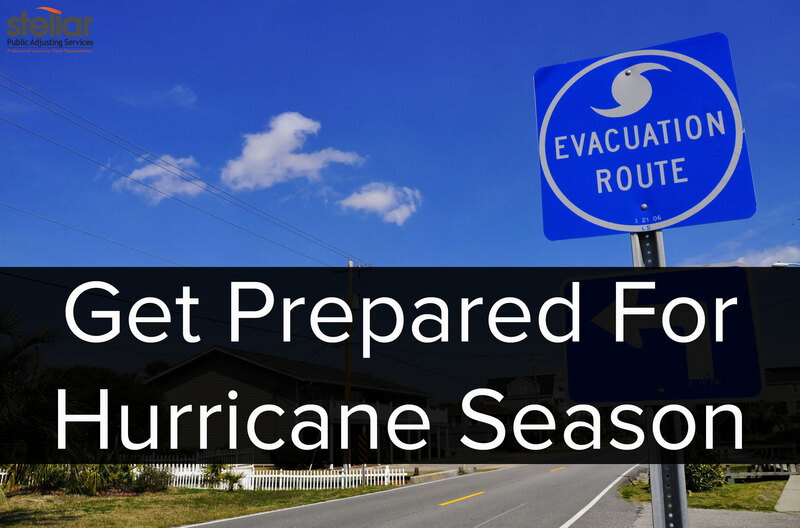 Additional useful resources on getting ready for the hurricane season. What should you do after a hurricane strikes? First off, try to prevent any additional property damage by putting up a tarp, for example. Because, your insurance company may not cover any further damage that occurs after the storm has passed. Then, when you need to file a hurricane damage insurance claim – you should hire the services of a knowledgeable and professional public adjuster – like Stellar Public Adjusting Services in Miami, Florida. We can help with your hurricane damage insurance claim settlement. We are your local experts in processing hurricane damage insurance claims. We understand that getting back into your home or restarting your business is one of your top priorities. We also realize that the claims process can often be frustratingly slow or difficult to navigate. Call Stellar Adjusting today at (305) 570-3519 to ensure the process goes smoothly and you are satisfied with the settlement.